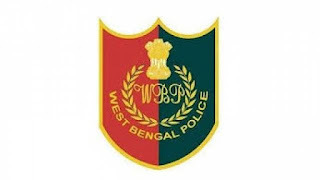 Applications are invited from eligible Indian citizens having following eligibility criteria for recruitment to the post of Constables (Male) in West Bengal Police - 2019. NVF, Home Guard personnel and Civic Volunteers serving in West Bengal Police only are also eligible to apply subject to fulfilment of eligibility criteria. (1) Age : - The applicant must not be less than 18 (Eighteen years old and must not be more than 27 (Twenty Seven) years old as on 01.01.2019. The upper age limit shall be relaxed by 05 (Five) years for the candidates belonging to the categories of Scheduled Castes (SC) & Scheduled Tribes (ST) and by 03 (Three) years for the candidates belonging to the categories of Other Backward Classes (OBC). The NVF and Home Guard personnel serving in West Bengal Police are also eligible for relaxation of upper age limit as per existing Government order. However, no age relaxation is available for the Civic Volunteer personnel serving in West Bengal Police. The last date of receipt of filled in Application Form through postal services (for off-line applicants) is 05.03.2019 (5 PM). The last date of deposit of Application and/or Processing Fees in respect of only the applicants applying through on-line using United Bank of India Challan will be 07.03.2019 during banking hours due to technical reasons. Applicants must visit the website of West Bengal Police (www.wbpolice.gov.in) to ascertain the eligibility criteria in detail, method of selection, scheme of examination, procedure for submission of application form and other terms & conditions. The selection process by the West Bengal Police Recruitment Board is transparent and purely merit-based. Hence, the applicants are advised to beware of the unscrupulous elements, racketeers, touts who may misguide the candidates with false promises of getting them selected for the job on illegal consideration.